In a rapid-fire chat, bestselling author Margie Warrell shares her take on future of work, gender diversity, work culture, engagement, and leadership. 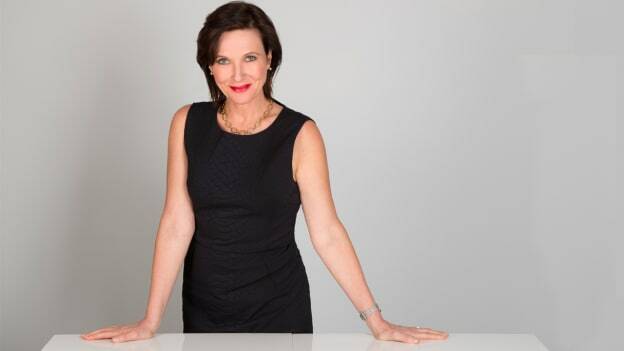 Margie Warrell is a bestselling author, leadership expert and global speaker, who is passionate about helping people unlock their purpose, conquer their fear and harness their unique potential to affect positive change in their work, leadership, and life. In a rapid-fire chat, the author shares her take on the future of work, gender diversity, work culture, engagement, leadership, and more. Not adapting to change fast enough. Fear. There is a lot of uncertainty and as anxiety dials up, people’s willingness to take risks, speak up, innovate new ideas and put themselves ‘out there' goes down. Everyone ends up worse off. By creating a culture of courage that makes people feel not just safe to do the brave thing, but are rewarded for it. People play safe when they feel unsafe to do otherwise. Foster ‘loyal dissent’ where speaking up and challenging the consensus is encouraged and rewarded and not considered brave at all! Take time to really listen to them so they feel heard, appreciated and supported. As technology changes the way we work the human element becomes even more important. Those who can connect with authenticity, vulnerability, and courage will be those who will become most valued and influential. Show appreciation by giving them opportunities to grow, learn and shine. People don’t leave bad jobs, they leave bad bosses. Provide a shared sense of purpose and ensure everyone feels valued for their part. Go out of your way to encourage those who may feel less heard to contribute and then acknowledge their value every time they do. Nurturing a shared sense of belonging is vital. Courage. The best leaders are not the smartest, not the most educated, charismatic, or strongest strategists or negotiators. They are the bravest. They keep their ego in its place. The double bind. Women can be penalized and evaluated as being less than ‘leader like' for exhibiting the traditional feminine norms of being collaborative and communal but are then penalized with they violate those norms and act with the more agents masculine ‘authoritative, ambitious, self-advocating and competitive’ behaviors. Women need to be able to strike a balance between the two. Don’t dial down your femininity but fully embrace the difference your difference makes in driving change, building collaboration and making smarter decisions. We don’t need more women acting like men, we need more women being fully themselves. Respect yourself and don’t tolerate anyone treating you any differently. In small bite size actions. Courage is a skill and like all skills, it can be learned. So start small with little actions or conversations that may be a little uncomfortable but not totally overwhelming. Change before you have to. Delay is increasingly expensive. Don’t discount the cost of inaction. There is often a far higher price we pay for playing it safe than we like to admit. It’s just that we don’t face it in the short term. So embrace discomfort, and put yourself out there even in small ways. Schedule your most important personal and family priorities into your calendar and treat them as you would a commitment to anything else. Then learn to set boundaries, say no and delegate. Block your time and close down your digital devices so you can focus on getting the ‘deep work’ done. I do this in the morning… and the afternoons are then free for all the other items. Deep work is vital for effectiveness.